Staging a home may seem like a standard practice when preparing to list a property for sale. But with the speed in which properties are flying off the market in and around Silicon Valley, is staging worth the time and expense? Consider a recent online survey by a well-known portal, that finds one out of three recent home buyers made an offer on or purchased a home without seeing it in person, up 19% from last year. What this reveals is that homebuyers are making decisions based on the information and photos they find online, saving them valuable time in lieu of scheduling and touring a property, and possibly gaining a competitive advantage by being the first to come in with a strong offer. This is compelling evidence that the way a home presents online will determine how fast it moves. Thankfully, we have a lot of technology tools and data at our disposal to give buyers the ability to confidently bid on a home they’ve never seen in person. One of the most effective ways to showcase a home online is with a 3-D virtual home tour. This allows you to take the buyer through every special space in the house, and with apps like video chat, you can be there virtually to answer their questions. All the data you put together about the neighborhood, schools, walkability factor, etc. for an in-person presentation, you can make available online to give buyers a truly comprehensive view of the property. You win buyers over at the first step in their home-buying journey: the online search. You can’t do that with an empty home, or with one that is furnished with the owner’s outdated furniture, personal photos, and decorative items. They must be able to see how a room could work for them and picture themselves in the home. This is best accomplished with clean, uncluttered, modern furnishings that accent a particular living space. Choosing a stager. Staging begins with having a great staging expert – someone who is a professional designer and focuses on staging homes for the real estate market. Ask around the office for referrals or recommendations, then go online to look at other properties they’ve staged. You can get a better sense of the design aesthetic of a stager and the agent or broker who uses them to see if it fits with what you envision in staging a property. Check the stager’s references to be sure that you can count on them for things like last-minute requests, ability to meet deadlines and other things that could create headaches for you down the line. Their job is to make you shine. Timing of staging. Staging should be part of the conversation in your listing presentation. When they sign the listing agreement, you should begin making arrangements for staging. Allow 10 days for getting the property ready for listing, which includes the staging, photography/videography, and inspections. Cost of staging. The homeowner typically bears the cost of staging as part of the agent or broker’s full service fee, but it’s important to have a discussion with the homeowner about what they are willing to pay for staging. Focusing them on the rationale and value of staging their home, as well as what it can translate to in a faster bid cycle and potentially higher sales price, will make this an easier conversation. There is no standard cost for staging – it typically scales based on the type or price of the home. Some homes may be beautifully decorated and need little help, while others may be more cluttered and require a total update to make them show better. 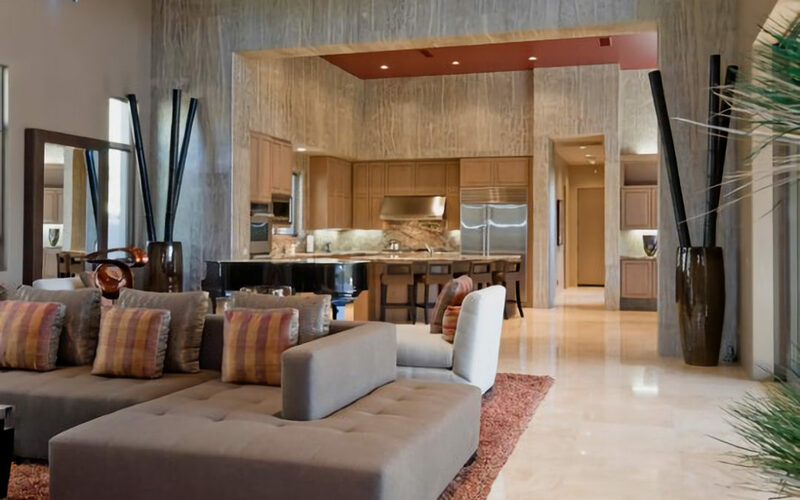 There are ways to keep costs down, including focusing only on the areas that really matter: the kitchen, the main living space, the master bedroom, and bath, as well as the other bathrooms and special areas of interest like an outdoor living room or office space. Ultimately, you are trying to build a “wow factor” when your property is viewed online, and staging has to be considered as part of the cost of doing business. As you build a portfolio of beautifully-staged homes that have sold under your name and your expertise, you will be able to show prospective sellers what makes you stand out as the real estate professional of choice.